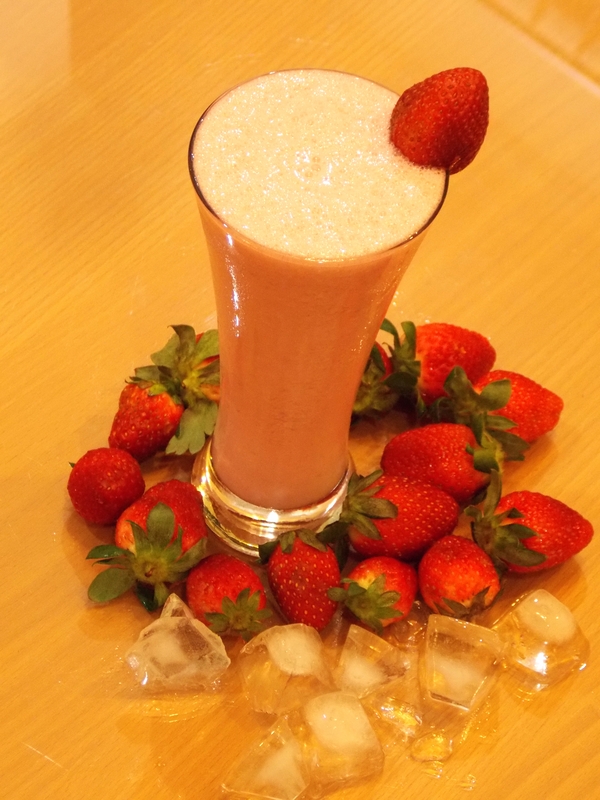 Beat the heat with Strawberry Milk Shake. Ready in 3 simple steps. Place half the milk, sugar, fresh cream and sliced strawberries in a blender jar and blend from medium to full speed till smooth. Pour into individual tall glasses. Garnish with slit strawberry fixed at the rim of the glass and serve immediately.